Don’t know what to do tonight in Broome? How about a wander around the colourful local stalls under the stars at the Thursday Night Markets at the Town Beach Reserve? Sample the tastes of Broome cuisine and listen to local musician Dave Guidera Duo play a distinct style of blues, country and rock music. Bring the family or catch up with friends and enjoy a meal on the lawn. 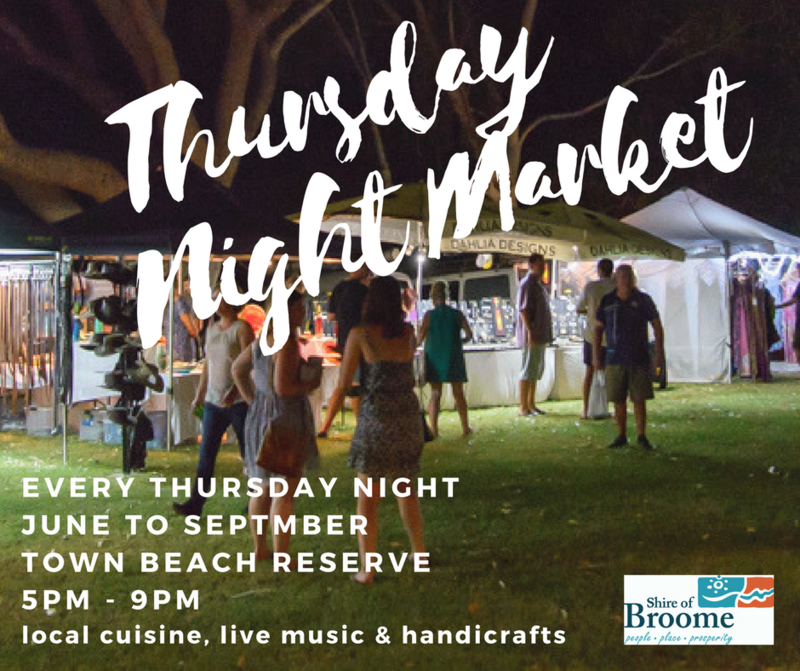 The Broome Thursday Night markets are held in the beautiful Town Beach Reserve from 5pm -9pm from June until the end of September.